Fears are gradually subsiding, the Fed is reassuring investors, the global and the US economies have so far avoided collapse, commodities are stopping their descent... 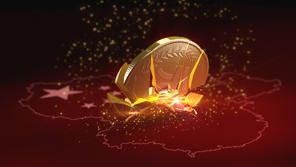 In short, the advantages of emerging economies are becoming evident once more: clearly undervalued currencies, valuations that are sometimes excessively low, international portfolios that heavily underweight these countries’ assets, generous interest rates and spreads in a world where yields are close to or below zero, and so on. Overall, capital flows are slowly returning and confirming our positive outlook on emerging market assets, whether they are equity, debt or currency instruments. However, some caution is still warranted: there are still some specific risks, such as Brazil, which is embroiled in a political scandal that will last for some time. 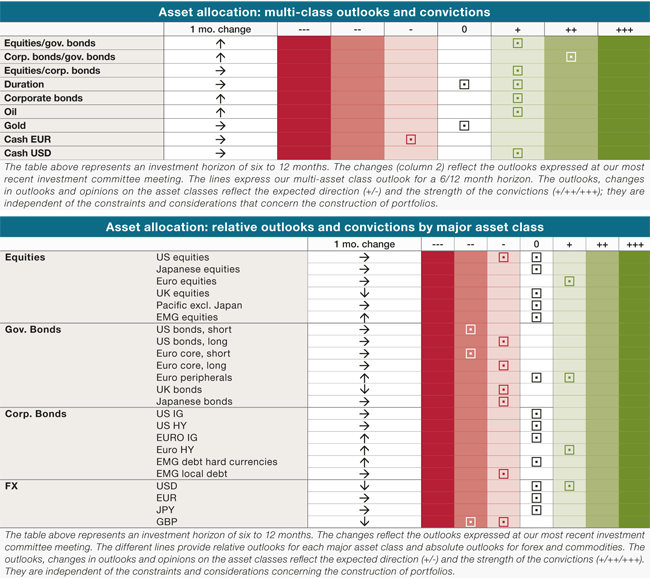 The main changes in our asset allocation deal with emerging markets (debt, equities and currencies). It is therefore necessary to explain the rationale behind our asset allocation. Capital flows out of EMG markets to advanced economies: the decoupling between EMG and advanced countries offered new opportunities: better economic conditions in Europe drove capital flows away from EMG to Europe, while the risk/return expectations turned negative for EMG vs. advanced countries. As a consequence, capital fl owed out of EMG markets, and this “block” became a neglected asset class… and all international portfolios chose to underweight the EMG as standard policy. During this period, selectivity was key: it was better to prefer commodity-consuming countries, countries able to have autonomous growth, with low external debt and, if possible, undervalued currencies. As usual, in such cases, valuation turned excessively low for some equities/companies/debt/currencies. What are the prerequisites for EMG to be a success story? What are the key features of EMG countries at this stage? How to invest in such heterogeneous asset classes? EMG markets are highly dependent on US rates, as seen again in 2013 and in 2015. EMG started to decline when rumours began about the end of QE and when the Fed announced its desire to hike interest rates. The Fed is now behind the curve and cannot tighten and restore its room for manoeuvre as it did in 2004-2006. As a consequence, the Fed should continue with a soft monetary policy, and QE4 if needed. On the other hand, central banks (ECB, BoJ, PBoC and the Fed) should continue to add liquidity, which represents a plus for EMG asset classes and risky assets. As seen above, China’s slowdown is a fact. No hard landing expected so far. 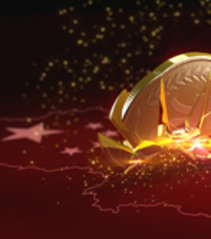 China will not devalue the yuan, and China’s exchange rate policy is now stable. The Chinese central bank has recently changed the essence of its FX policy. PBOC has decided to manage the stability of the yuan vs. a basket of currencies. At the very least it is quite efficient. A stabilisation of growth and/or a decline in fears about China and the yuan (as is the case at present) represent positive messages for EMG asset classes. 1st comment: economies are experiencing the biggest counter-shock in the past few decades, with positive impacts. It supports growth and domestic demand at a time when the latter is the main driver of growth. 2nd comment: two thirds of the decline in oil price is linked to supply-related developments. It explains why it is so difficult to predict the price, which adds another range of uncertainty and volatility. 3rd comment: the bulk of world production of commodities is no longer profitable. The next step has to be either a rise in prices or cut in supply, orboth. The fall in commodities prices should come to an end soon. This represents three positive messages for EMG countries and asset classes. World growth should be around 3%, both in 2016 and 2017, and no further slowdown or recession is expected. Russia and Brazil (at a later stage) should gradually exit recession, and GDP growth in EMG countries is expected to improve gradually. Conclusion on prerequisites: with regard to the four prerequisites described above, EMG markets, both equities and debt, should be able to recover in 2016. 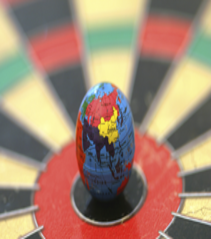 When prerequisites are met, attractive key features of EMG markets will take the lead. Rates are negative in Japan all over the curve (except the 30 year bond, which is close to zero, though). 35% of Barclays Euro global aggregate index (sovereign, quasi-sovereign, corporates and financials) bear a negative yield at present, with a small proportion of yields above 2%. 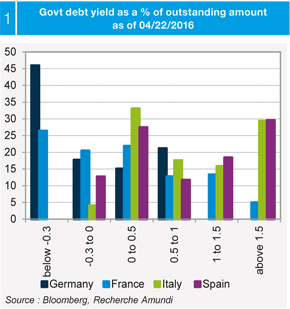 EMG debt still has attractive yields and spreads, which is a “plus” for investors still chasing yields and spreads. The depreciation of EMG currencies started in 2013, when the end of the US QE was rumoured. Since then, all factors played for further depreciation (Russia, Brazil, China, CNY, commodities, Fed, world growth…). EMG currencies are cheap, with significant undervaluation in some cases. Switching from hard currency debt to local debt makes sense at this stage. EMG countries have adopted flexible exchange rates for some years. The depreciation of currencies has prevented severe internal devaluation (recession / depression) and favoured stronger recoveries. This is very different to past crises, when currencies began to depreciate in the last stages of the financial crisis, after economic activity collapsed.In other words, undervalued currencies are attractive. sensitivity to the USD or to foreign currencies has declined. All in all, it is not as bad as generally thought for oil producers with flexible FX rates. Conclusion on key features: in the past 3.5 years, EMG market asset classes have been completely neglected, due to the objective factors mentioned above and due to overestimation of some risks and fears. As is always the case with neglected asset classes, international portfolios are underweighted EMG markets, and valuations offer attractive entry points. While prerequisites are met, key features offer strong advantages. The term "emerging markets" is unsatisfactory. It's misleading, because it tends to group countries together that have very different economic features and realities. What's more, it doesn't recognise the spectacular progress made by some of them. Finally, some of these countries are now in much better positions than so-called "advanced" countries. In fact, both "emerging country" and "advanced country" are confusing. This is especially unfortunate in the current situation, which requires, and even demands, a relative value analysis, off benchmarks, so great are the discrepancies and so dissimilar the countries' features. This approach opposes EMG bloc and Advanced countries. This split is completely out-dated and has been so for a long time. The discrepancies and differences call for more detailed analysis. In times of crisis, the EMG block is a block, but in quiet periods, when investment in these countries is appropriate, it is not a block anymore: specificities, thematic, valuation gaps… drive the recovery. Moreover, some so-called EMG countries are in a better shape than some so-called advanced countries. This approach is inadequate even though there are common features: With commodity-hungry Asia, oil-producing GCCs, and EMG Europe stuck to the EU… moving from one region to another in terms of investment isn't bad, but we can do much better. Bulgaria, Nigeria, Pakistan, Ukraine, Kenya, Kazakhstan, Argentina…). With this approach, investment would follow major benchmarks such as EMBI, EMBI+ EMBI Global Diversified, NEXGEM, EURO EMBI, CEMBI, CMBI Broad diversified, GBI-EM Broad, GBI-EM Global, GBI-EM Diversified… These approaches are not providing typologies or classifi cation – they are merely indices or marketing approaches. A statistical analysis based on different measurements of proximity gave the capacity to group countries into different homogeneous blocs (with common factors). Use this typology to play factors / themes. For example, since 2014, werecommended to invest in i) countries able to have autonomous growth (not too dependent to world trade and world growth), ii) commodity-consuming countries, iii) countries with low external debt, and iv) countries with undervalued currencies. To start investing in commodity producers, with low valuation, low weights in portfolios and undervalued currencies make sense at this stage. Stay selective and reactive: EMG countries cannot be considered as a bloc, and some countries continue to bear specific risks: Brazil is at present one of the most representative example (see insert below). Our asset allocation recommendations are unchanged this month. The table next page summarize our views, convictions, and positions. While capital flows are gradually returning to emerging markets, sentiment toward these markets is improving, and Argentina had no problem raising large amounts of funds on capital markets ($15 billion with an order book of more than $60 billion), Brazil is experiencing its worst political crisis since it became a democracy. The impeachment proceedings against President Dilma Rousseff are continuing, while uncertainty grows. In March 2014, a federal police investigation suspects the Rousseff government and that of her predecessor Lula of establishing a system for secretly financing parts of the ruling coalition through bribery using public contracts. Several people have gotten rich off the scheme, which also involves members of the main opposition party, the Social Democracy party. In December 2015, the opposition launched impeachment proceedings. Dilma Rousseff is accused of window dressing government accounts in 2014, the year she was re-elected. The president is calling it an institutional “coup d’état”, an accusation levelled against her own vice president, thought to be one of the instigators of the impeachment proceedings. On 17 April, Brazil’s lower house of congress voted to start impeachment proceedings, with 367 deputies voting “for” and 137 voting “against” (out of a total of 513). This committee of 21 senators has 10 days to come up with a recommendation for the 81-member Senate on whether or not to continue impeachment proceedings. The vote will be decided by a simple majority (41 out of 81 senators) during a plenary session that will probably be held on 12 May. An impeachment for a “crime of responsibility” would suspend Dilma Rousseff from her position for a maximum of six months until fi nal judgement has been passed. According to the constitution, her vice president (and rival) Michel Temer (aged 75) would replace her for the six-month suspension period. Michel Temer is at best unknown and at worst unpopular, even in the current majority, because he has been accused of organising a “golpe” (coup d’état). After 180 days, there will be a second Senate vote, in which a 2/3 majority will be needed to push Ms. Rousseff out of offi ce for good. In such a case, Michel Temer would then replace Dilma Rousseff, unless he himself is “caught up by events”: his name has actually been mentioned several times by people charged in the Petrobras corruption scandal. Michel Temer’s term could also be ended at the same time as Dilma Rousseff’s by the Superior Electoral Court, which will make a ruling by 2017 on whether their campaign for the presidency/vice-presidency was partly financed by funds diverted from Petrobras. A new presidential election cannot therefore be excluded. It is worth noting that Dilma Rousseff has not been accused of corruption, unlike many of the senators who will be deciding her fate. In fact, 39 of the 81 senators are under investigation, including 12 for the Petrobras scandal, notably the President of the Senate and third person in line for the presidency, Renan Calheiros. Fernando Collor de Mello, the former President of Brazil and current senator, and Aecio Neves, who ran unsuccessfully in the last presidential election, are both in the crosshairs of the justice system. Brazil is solvent and has no desire to cut itself off from financial markets and trigger a default. However, its political crisis will most likely last for some time, holding back reform and measures required to emerge from the recession and better control public finances and government debt. We should keep in mind that i) growth will remain weak (-2.5%/3% in 2016 vs. -3.9% in 2015, and definitely negative on average over the next three years), ii) debt is already high (it’s already at 65% of GDP and could go as high as 80% in the next three years) and III) the current situation is holding back reforms, particularly with regard to public finances. In other words, the probability that Brazil could default has clearly risen in the last six months. We must show caution with respect to Brazil: it poses a non-negligible specific risk. In this article, we will explore the themes currently drawing our attention and prompting us to further protect our portfolios or establish protection plans. With regard to the macroeconomic scenario, three themes have come to the forefront in recent quarters. 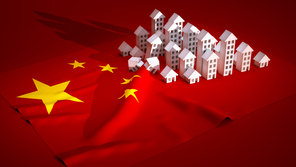 China Property Market: Bubble or no bubble? 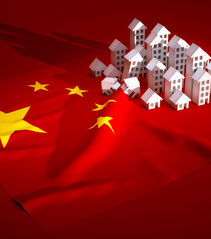 How healthy the Chinese property sector is, fundamentally shapes the outlook for the Chinese and world economy.